3 Beds 2 Baths 1,486 Sq. 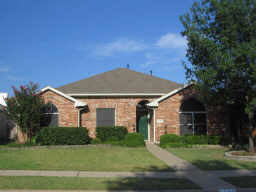 ft.
Charming 3 bedroom house in Preston Oaks. Updates to property include new fence with garden gate, new stove and oven, new dishwasher, solar screens installed on all windows and lifetime transferable warranty on the foundation. Excellent neighborhood and schools.